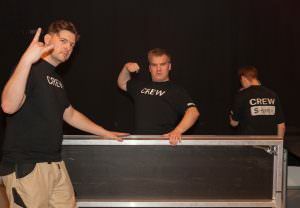 CREW is the group of volunteers working at S-Huset. They make S-Huset work, and what would a student house be without students? We always need active and enthusiastic volunteers to run S-Huset and we cannot exist without them. Below is a short walk through of some of the most frequently asked questions. You have the opportunity to get as engaged as you like and can. What do I get by volunteering? What does the chair of CREW do? 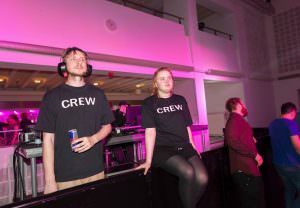 The chairperson of CREW coordinates the work in S-Huset, that is he/she takes care of the overall planning for events. 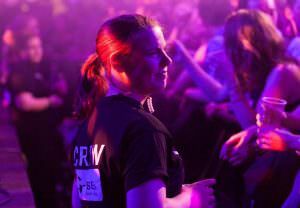 Get in touch with the chair of CREW to hear more about the exciting activities and work in S-Huset. 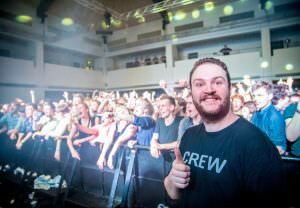 How do I become CREW? A couple of times during the semester there will be information sessions about CREW where you can come and hear about being CREW. 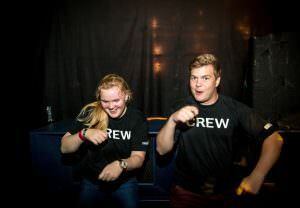 If it sounds exciting, a weekly CREW meeting is held every Friday at 12.15 in Kælderbaren. The president of CREW talks about events in the following weeks and allocate people for jobs at these events. There is always something happening in S-Huset. Click "Events" to get an overview of the next big events.